Hello Toddler! Ok, I mean Little Z.
I’ve written this post bang on time this month bang on time this month. I usually forget to do it and end up doing it about a week later. We’ve been trying to cram a lot of fun into the weekends this month because work has been a bit manic and tiring. I’m hoping it doesn’t last too long and we can get back to normal again very soon. You’ve not minded too much really and have a lot of fun with Nana and Naani. We’ve also been going to a LOT of weddings, I would say its been an epic number. There’s been a bit of a wedding boom this year and you’ve loved it, including dressing up and admiring your reflection in the fireplace. I knew you took after your Daddy! My feet haven’t loved chasing you around very much but your Daddy and I have our tag team chasing down to a tee now. Thankfully there’s just one more wedding to go before the end of the year. Phew! Your name is officially down for nursery – hurrah. Kind of. You really enjoyed our little visit and didn’t want to leave. I really hope this is a sign of things to come. The woman who showed us round was absolutely lovely and listened very kindly to my whole spiel of “It’s worrying isn’t? We’ve never left him with anyone but family before….blah blah blah”. She didn’t once say “Yes, we’ve heard this a thousand time before, he’ll be fine. Now if you could let loosen your grip on my top…”. Which was nice. But you don’t actually start till February next year so it does feel like plenty of time yet. We took you to the cinema for the first time last week. We just happened to be passing after we visited the Sea Life Centre (which was fantastic) and saw that Despicable Me 2 was still on. Your Daddy’s eyes lit up and that was it. “Shall we go? Lets go. Come on, he’ll love it!” I was really reluctant and didn’t think you were ready but your Daddy was so keen and kept saying we could always walk out if you you didn’t like it. You absolutely loved it! You were so quiet I thought you’d fallen asleep. You ate a bit too much popcorn and kept copying the Minions laugh. You did start to get ants in your pants towards the end of the movie but we think you liked it. It was a lovely day out which we finished by taking you to Tampopo and watched you try to use chopsticks on some prawn crackers. You gave up a few times and used your fingers but eventually got it. Your Daddy and I used forks which was much easier but you were determined to master the fascinating wooden sticks. We have no idea where you learn these things but it does make us laugh a lot! My cunning plan to squeeze in a holiday before your Aunty’s wedding ended up being too difficult to crow bar in with everything that is going on at the moment. I was gutted till I realised Plan B may be even better. I think I might have it all sorted soon and then we can start preparing. Muahahahaha. I love it when a Plan B comes together! This entry was posted in Toddler and tagged 2 years and 9 months, imagination play, Parenting, taking toddler to cinema, Toddler, toddler mischief. Bookmark the permalink. I love your monthly updates and hearing all about what Z has achieved in the month. And he just seems to get funnier and funnier! I’m glad your cinema trip went well – he’s pretty young. Despicable Me 2 is amazing, isn’t it?! Its brilliant – I really enjoyed it. Little Z keeps asking to see the Minions now! You should – its so good and very funny! So cool – isn’t the cinema just such a delightful experience with a littlun’ it’s one of my fave things to do with Ma Puce. Oh and I love that shot, it puts me in mind of Saturday Night Fever!! He loved it – I really want to take him again but not sure there’s much about kid movies about. wow the cinema thats fantastic! 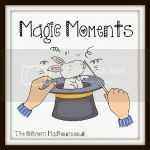 i love these monthly posts they are such a lovely way of recording the things that you do. Thanks Jaime – I’m glad I started doing it else I don’t think I’d remember anything! They have the best social lives I find! I don’t think I would have been so brave if OH wasn’t there 🙂 Turned out to be a nice little outing for us. On my wish list Despicabble Me 2, probably on DVD by the time I get to see it! Its a great movie – I wouldn’t mind watching it again! Its a great movie – I wouldn’t mind getting it on DVD! I’m desperate to take Ben to the cinema but it’s just so expensive! I need to get round to taking him on one of those children’s mornings! Saturday and Sunday mornings is a lot cheaper but its a bit of a risk if you’re not sure they’ll sit through it. He is growing up so quickly, I love hearing about his new tales each month. Such a pleasure to see him grow up. I’m definitely pleased I do it monthly. Not sure I’d remember it all! Hehe he loves his little games! You really made me laugh out loud with what the nursery last didn’t say! Lovely post, and I’m liking his new game :-)! What a lovely post Tas, must be weird thinking about him going to nursery. Really nice that its not yet. We’ve got to think about pre-school or school for POD as she’ll be three on Christmas Day. Incredible how fast they grow. Well done taking Z to the cinema, I hope it went well and he enjoyed it. Loving his hand game! It feels like such a big milestone doesn’t it? It did feel like a bit of a relief getting it sorted but I’m guessing I’ll be really nervous when the time comes. Sounds like you have had a busy few weeks! It’s so lovely reading every month how he is growing and it will be so nice to look back on too! Oh no! You’ll have to make up for it when you’re back here and take them lots. I have yet to take my just turned 3 year old to the cinema as he has permanent ants in his pants but i must try it soon! Haha I was thinking Z would be exactly the same and we’d have to leave witin 20 minutes. He was really fascinated for ages though and at one point I thought he’d dozed off! Aw bless him that is so funny with the hands. They are lovely at this age. Nursery eh! That will be a big change for all of you! They really are – so funny too. I can’t believe I was sad about him turning 1 – this age is definitely more fun! ITs great how little things entertain them so much isn’t it? I found a week day was brilliant – completely dead with about 3 others there! They are brilliant with their little games aren’t they? I love these letters! Z just sounds like such a fab little boy, and so funny 🙂 Glad the cinema went well, it was one of my favourite things to do with the boys when we were in Edinburgh (kids cinema, Sat/Sun, £2 each!!) – we saw so many great movies – have only been once since we moved here… Must sort that out! Wow thats a complete bargain! I’d be there every week! Sounds like you are really making the most of it before nursery comes around. We are looking forward to going to the Sealife centre. I missed Despicable me 2 as the boys saw it with their dad – hope you enjoyed it too. We’ve just started taking our 3 year old to the cinema and she LOVES it! Gorgeous post. Its great isn’t it? I want there to be a new kids move released every week now! Really makes you realise how quick time is going when you put their names down for nursery! Glad he enjoyed the cinema!! Yep it literally does fly by doesn’t it? Hope so – he loves being around all the families and cousins so I’m hoping he’ll fit in quickly with new kids. Haha I like that version – I will have to try it on Z!